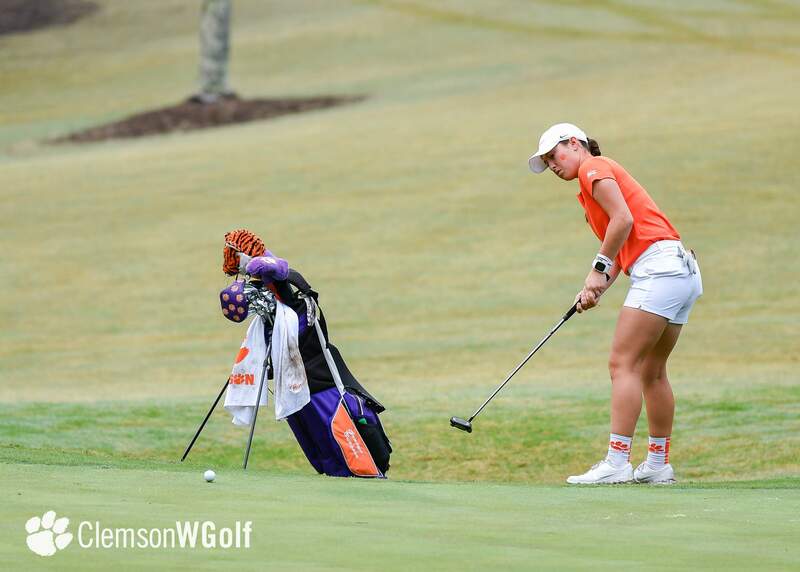 Sunset, S.C.—Thunderstorms rained out the final round of the Fourth Annual Clemson Invitational at The Reserve at Lake Keowee on Tuesday afternoon. 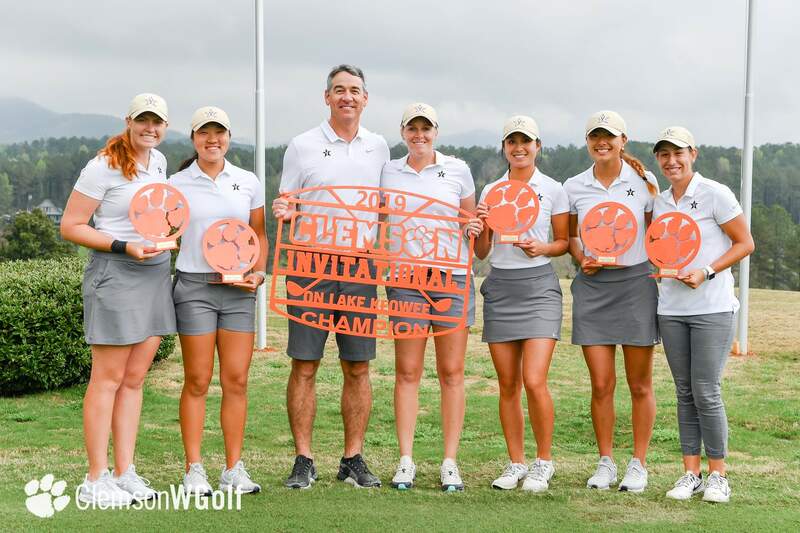 Twelve of the 96 players had completed 18 holes, and all players had finished at least nine holes, but the official final results revert to the end of the second round, making Vanderbilt the team champion. 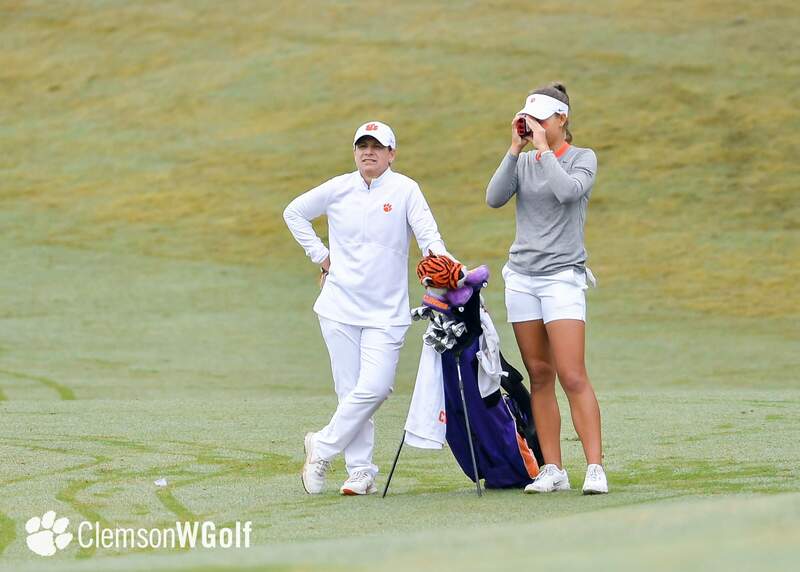 Clemson had made a good run through the first nine holes on Tuesday and when the horn sounded to stop play at 1:15 p.m. 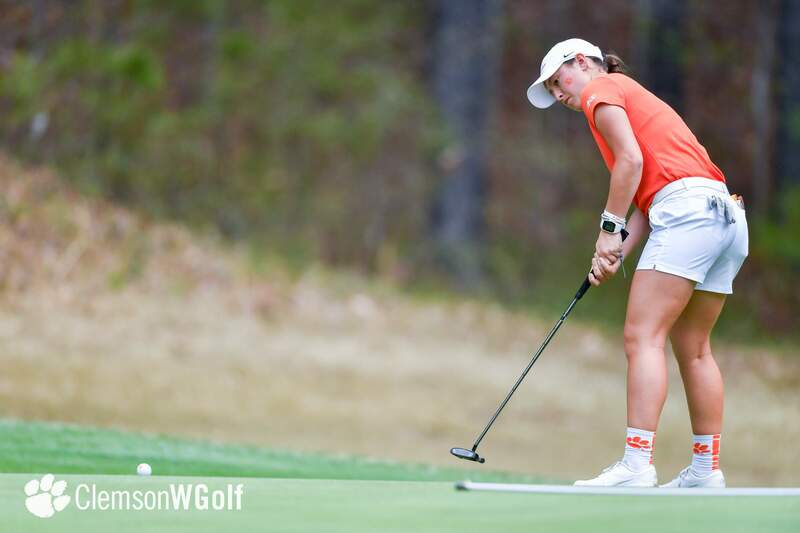 The Tigers were in second place just six shots behind Vanderbilt, as Kelley Hester’s team had gained seven shots on the Commodores. 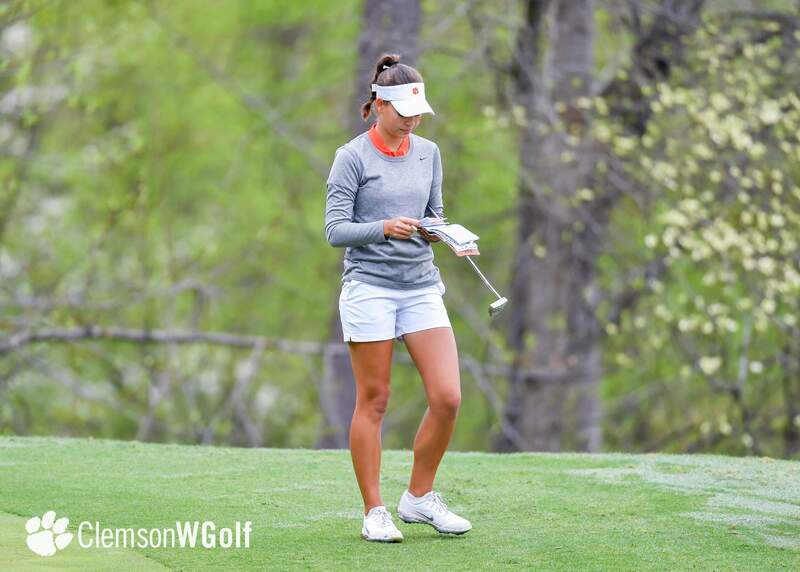 Four of Clemson’s five players were under par and a fifth was at even. 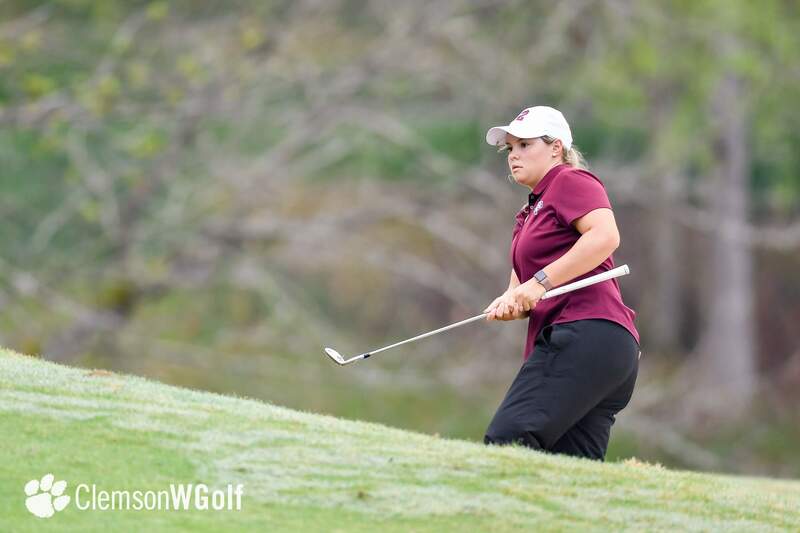 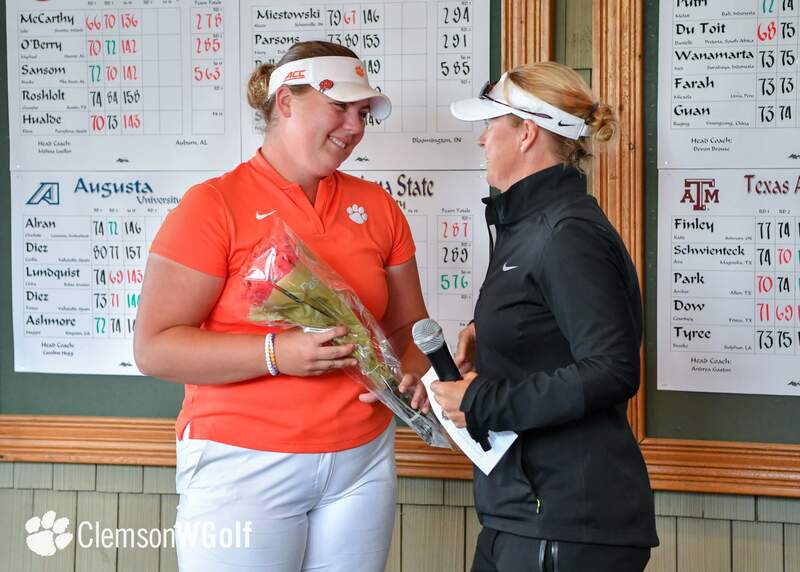 Freshman Ivy Shepherd was at eight under par for the tournament in second place when play was halted. 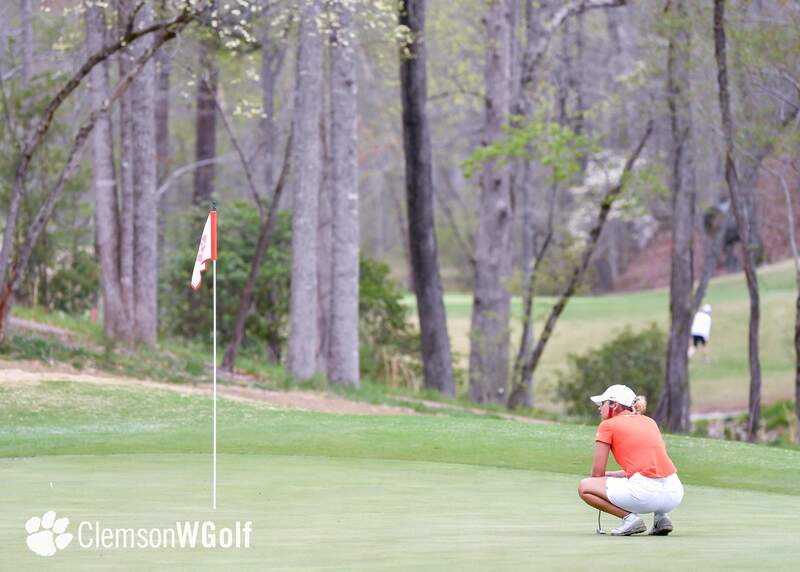 But those third round results were washed out by the storm. 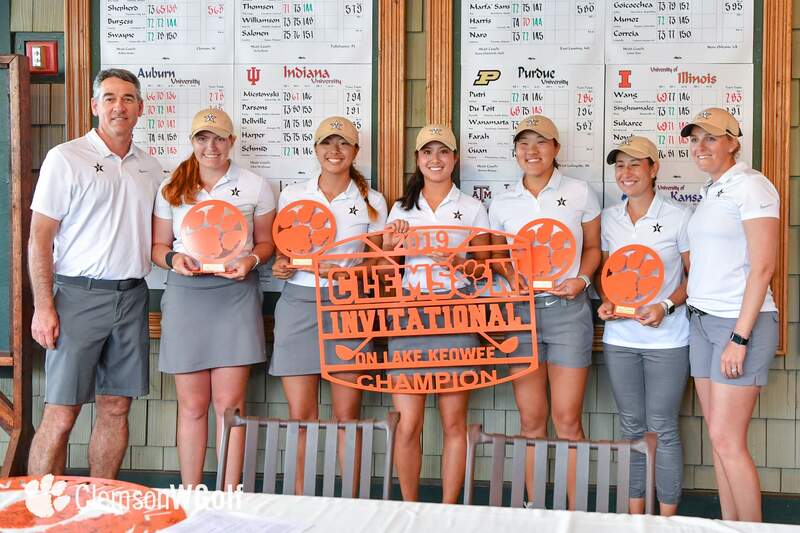 With scores reverting to the end of play on Monday, Vanderbilt is the champion in the 18-team tournament with a score of 555. 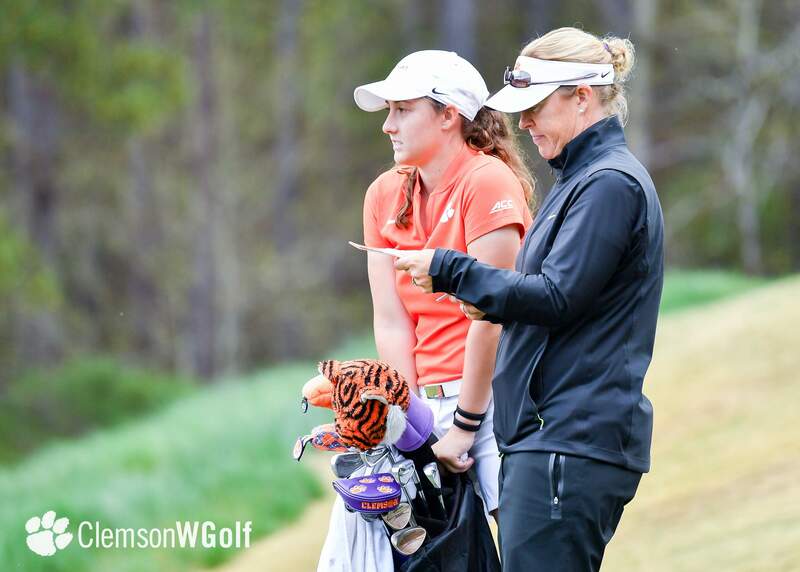 Auburn was second at 563 and Clemson third at 568. 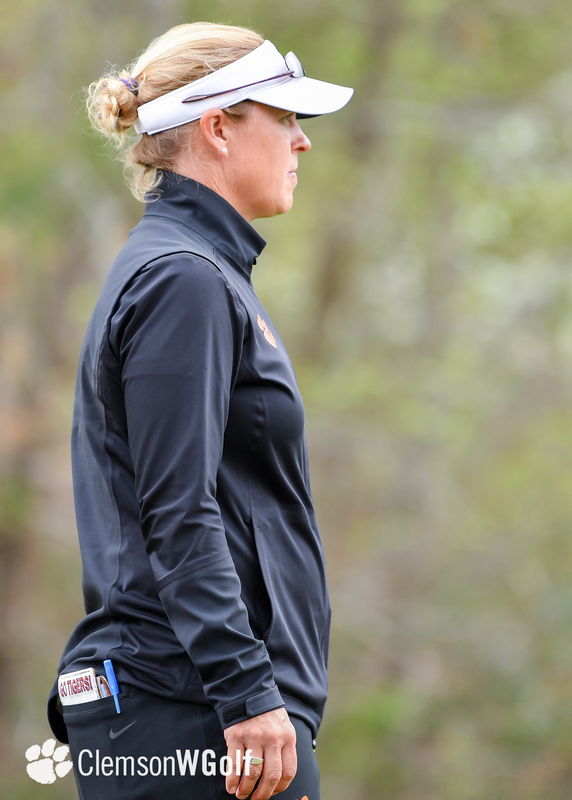 Illinois was fourth at 574 and Texas A&M fifth at 575. 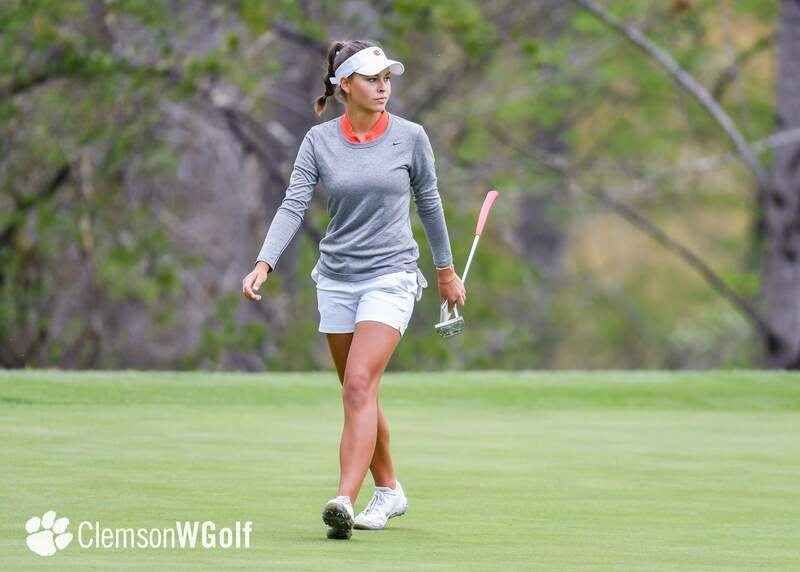 Florida State, ranked fifth in the nation entering the tournament, finished tied for eighth. 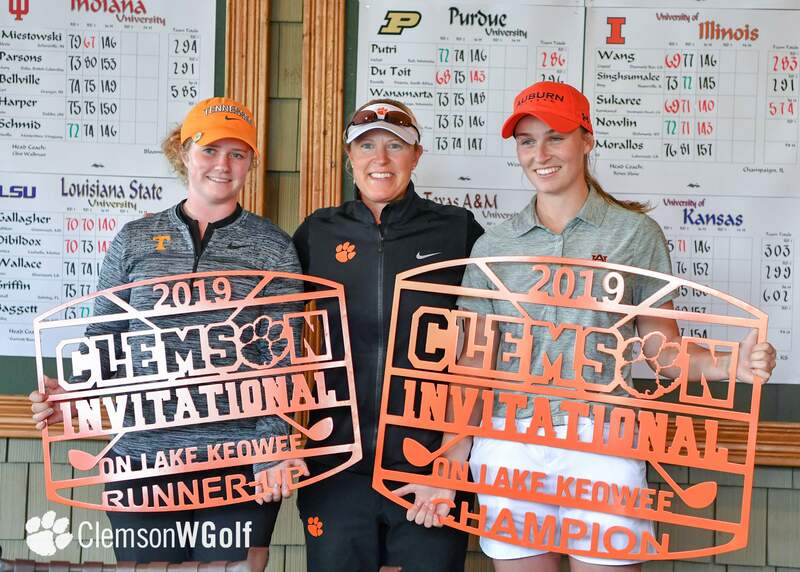 Julie McCarthy of Auburn and Micheala Williams of Tennessee were co-champions with scores of 136, eight-under-par for 36 holes. 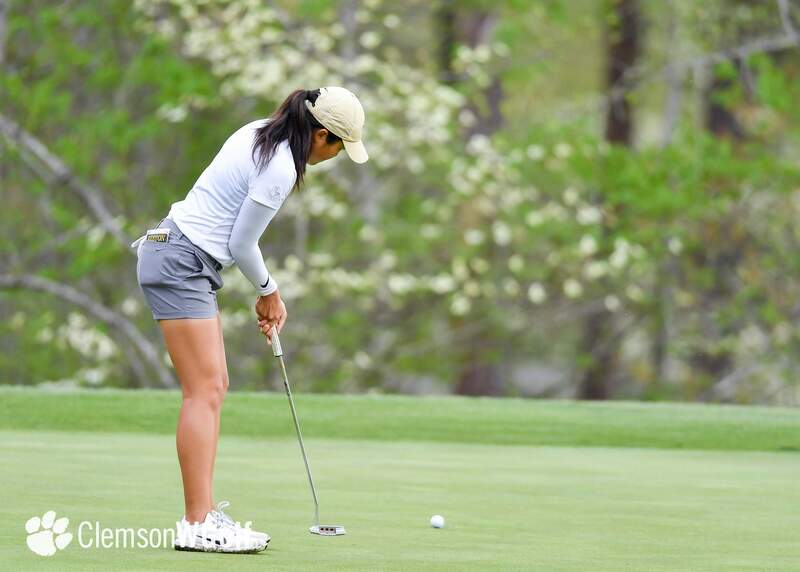 Austin Kim and Courtney Zeng, both of Vanderbilt, finished tied for third at 137. 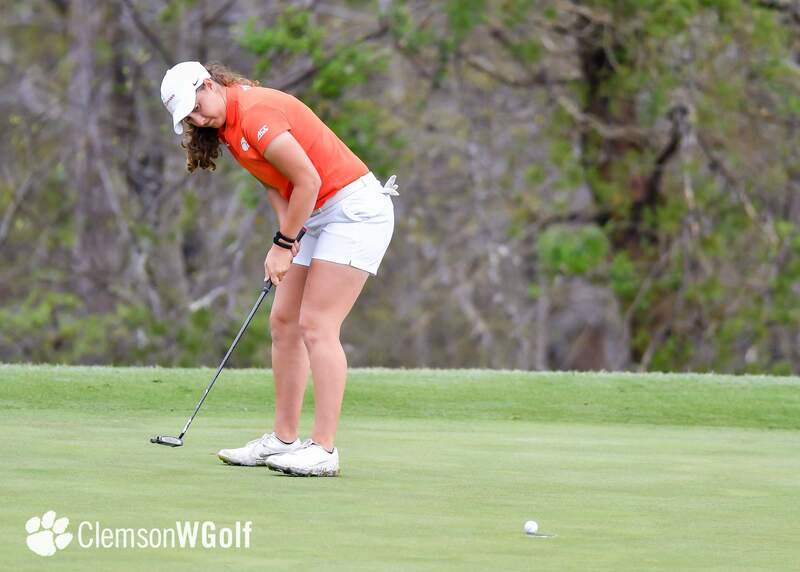 Shepherd, who had a tournament record tying score of 65 in the second round, finished fifth at 138. 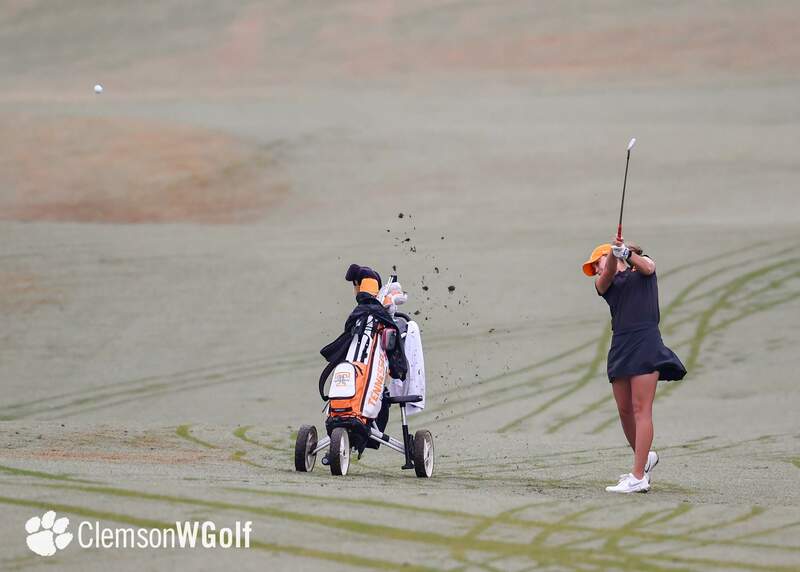 It was her second top 10 of the year. 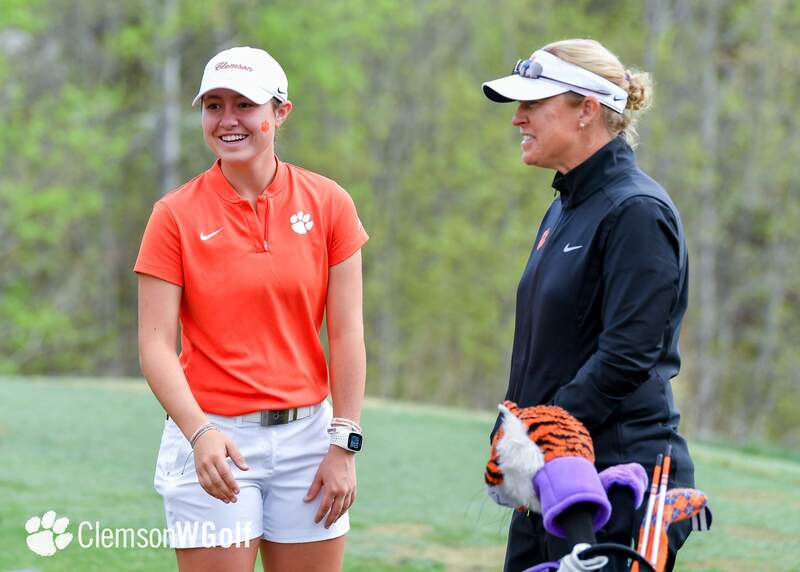 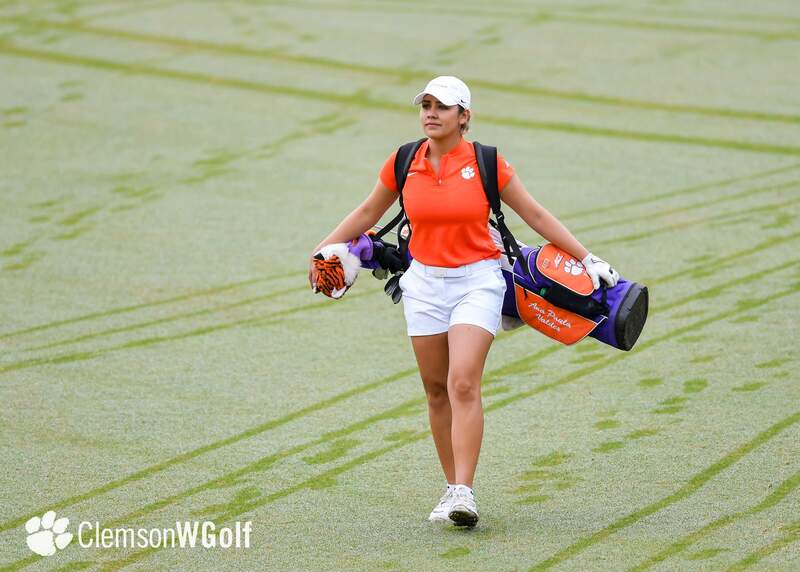 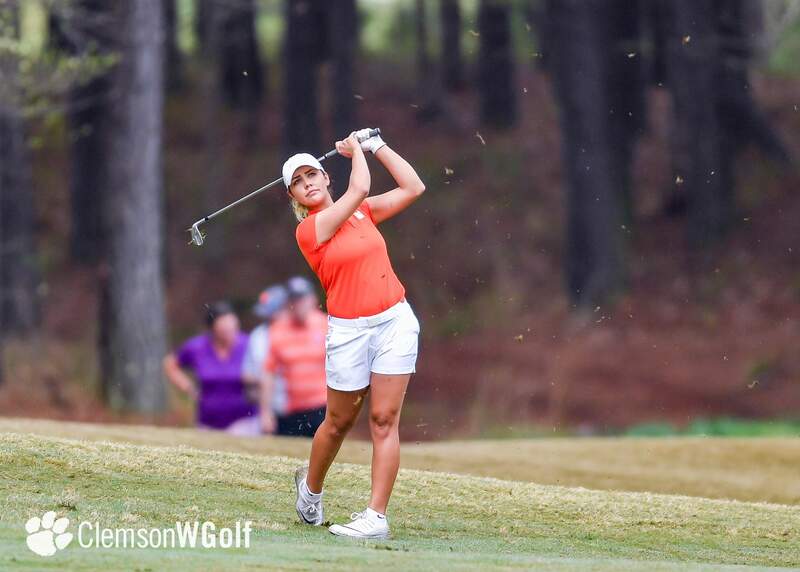 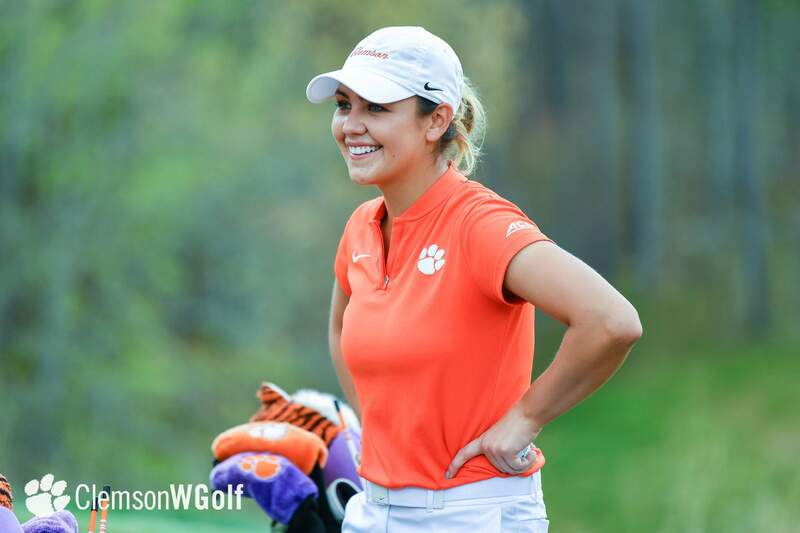 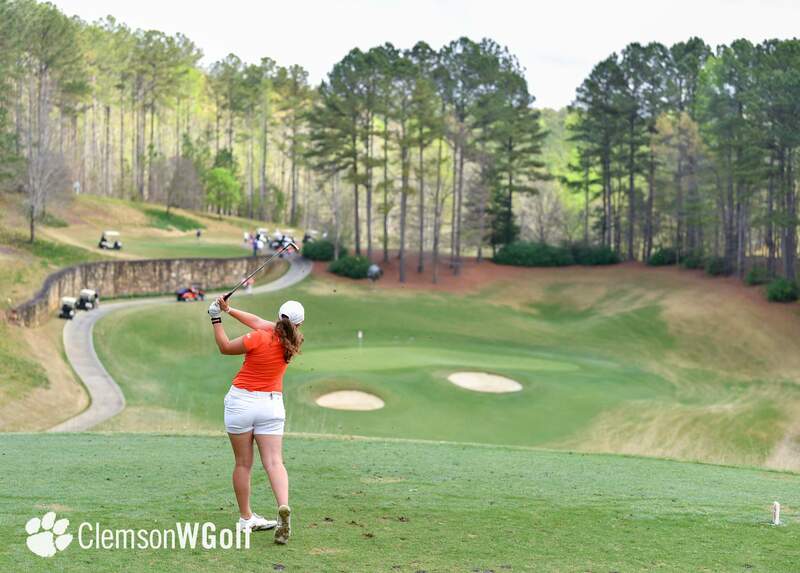 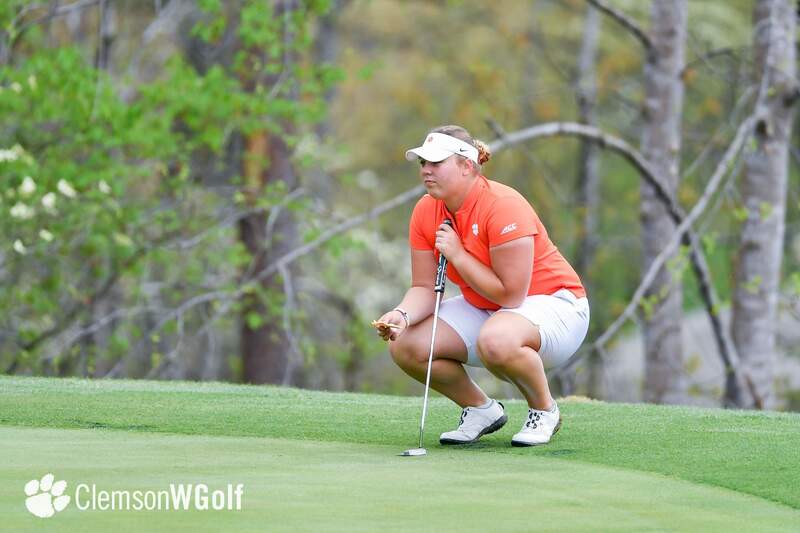 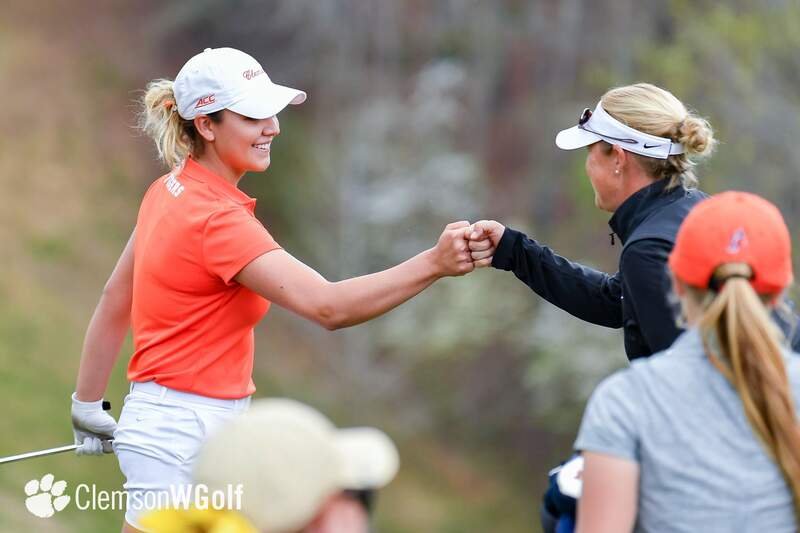 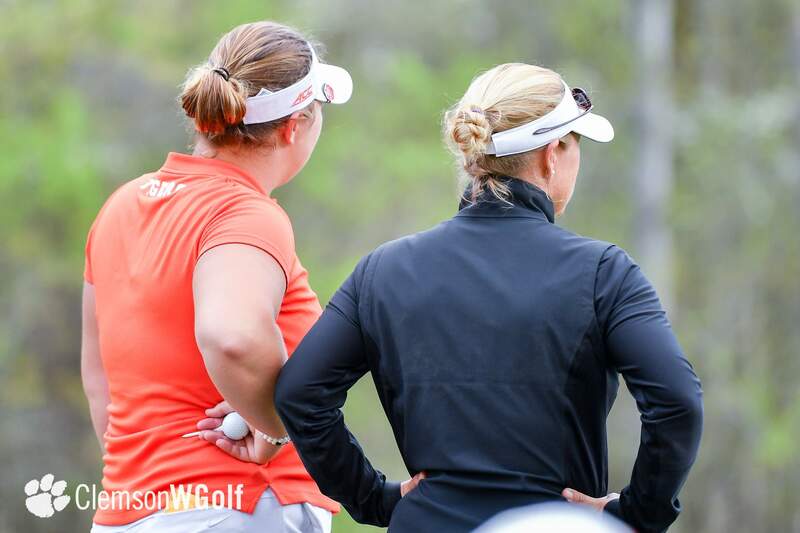 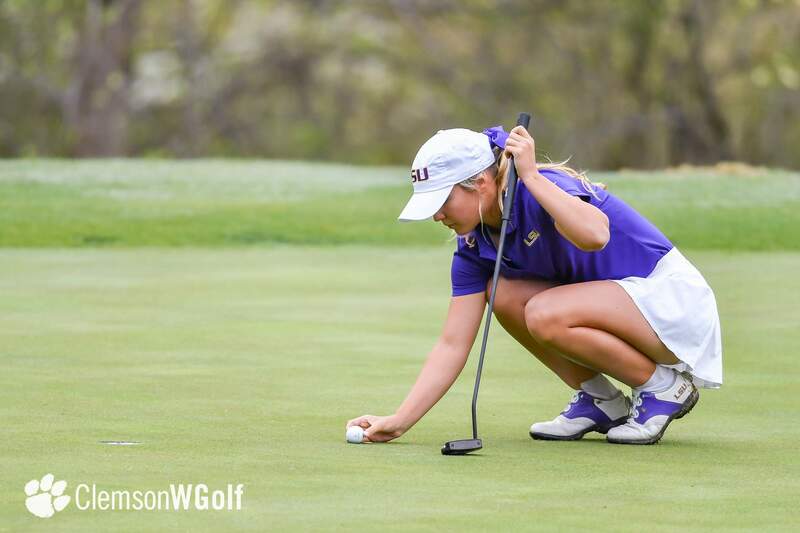 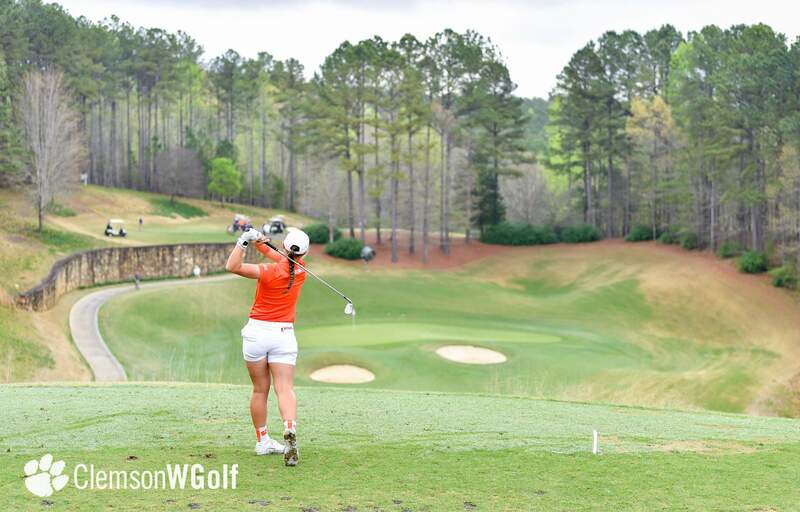 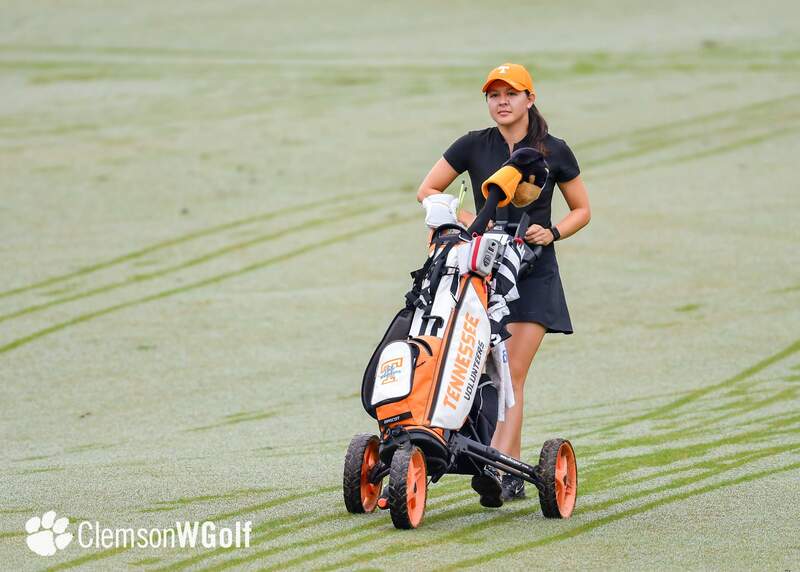 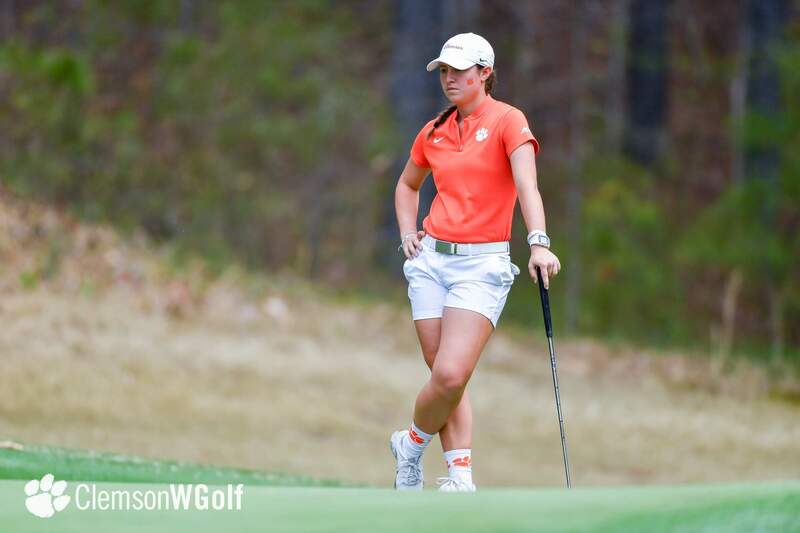 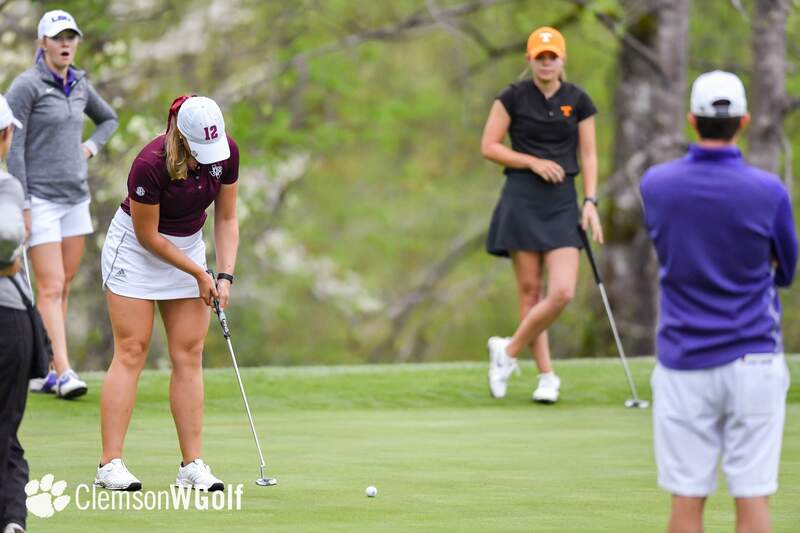 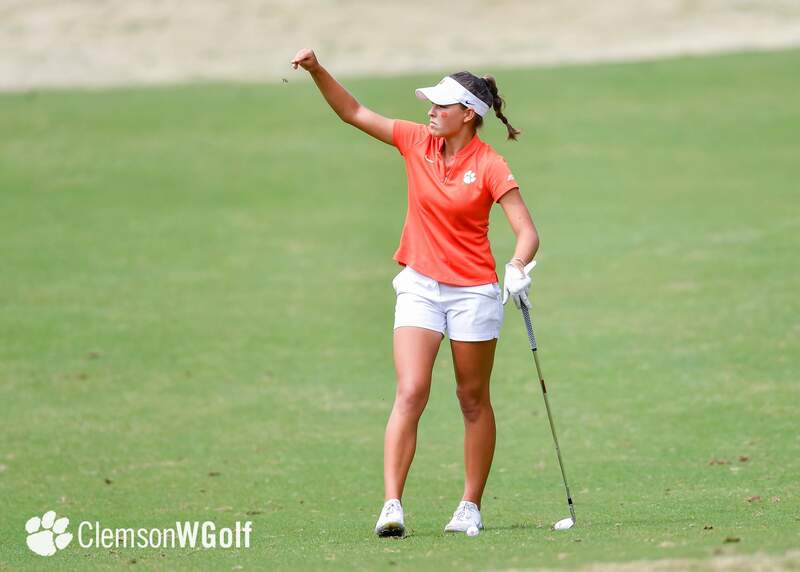 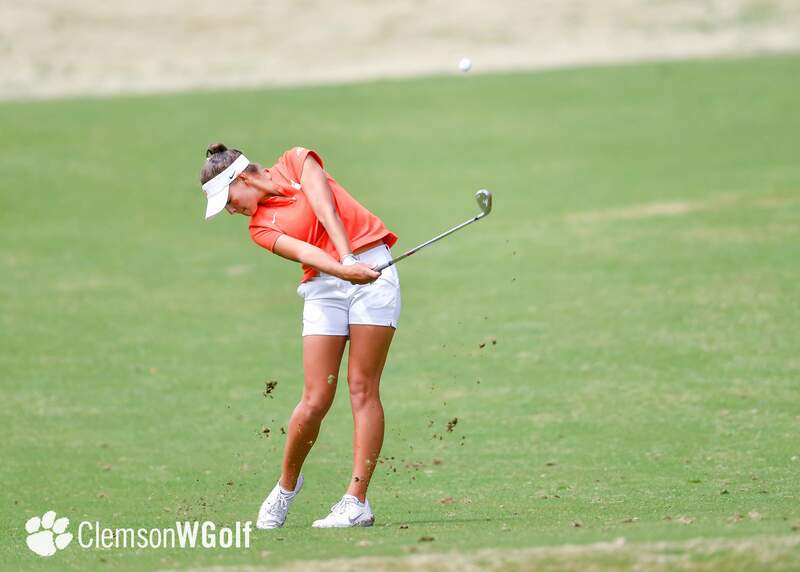 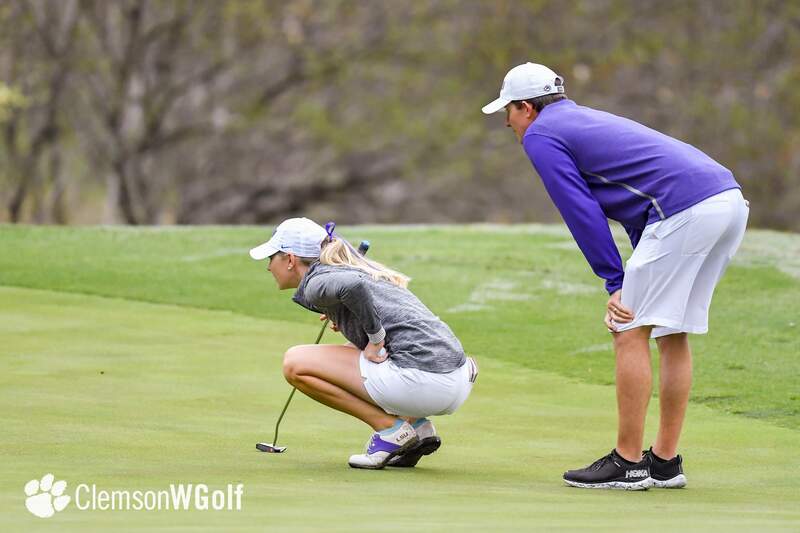 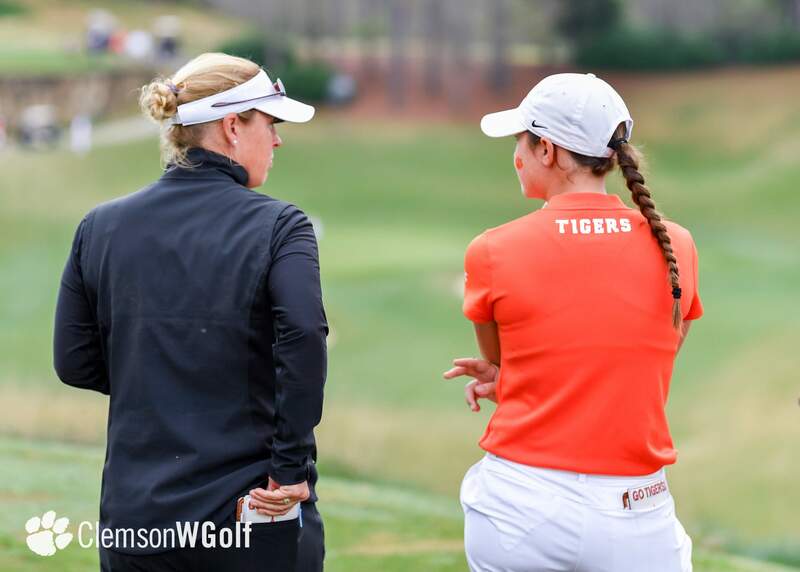 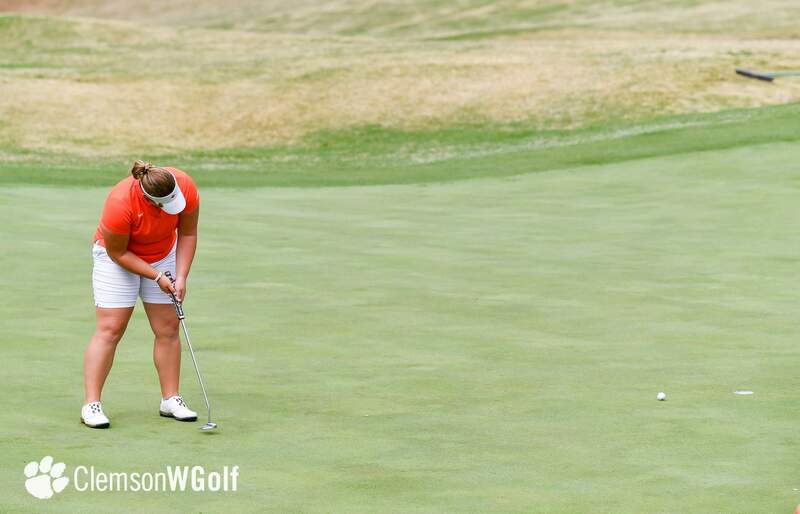 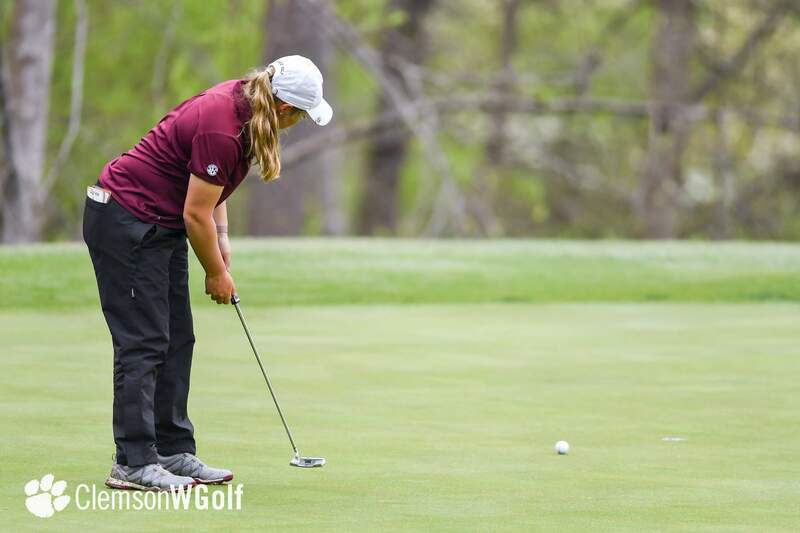 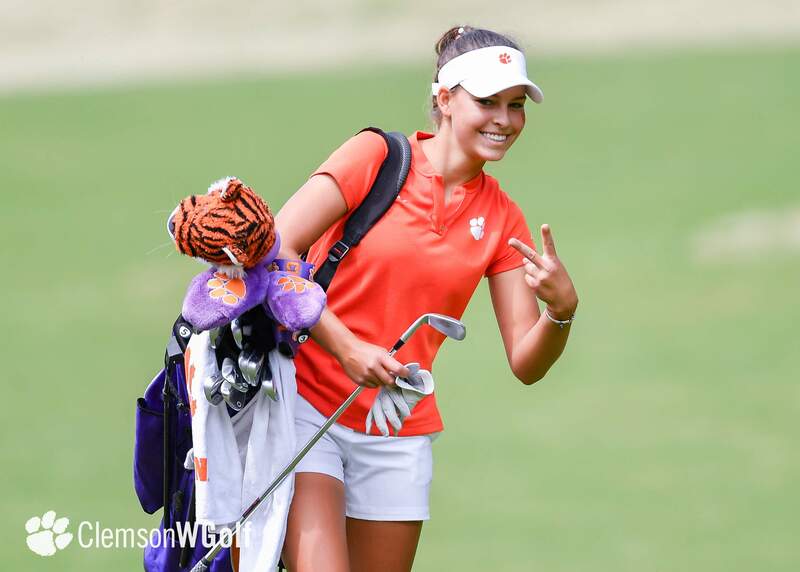 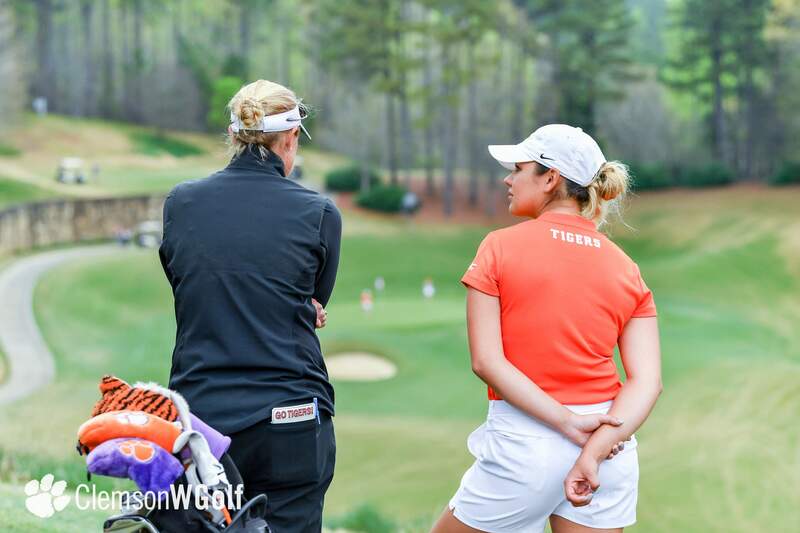 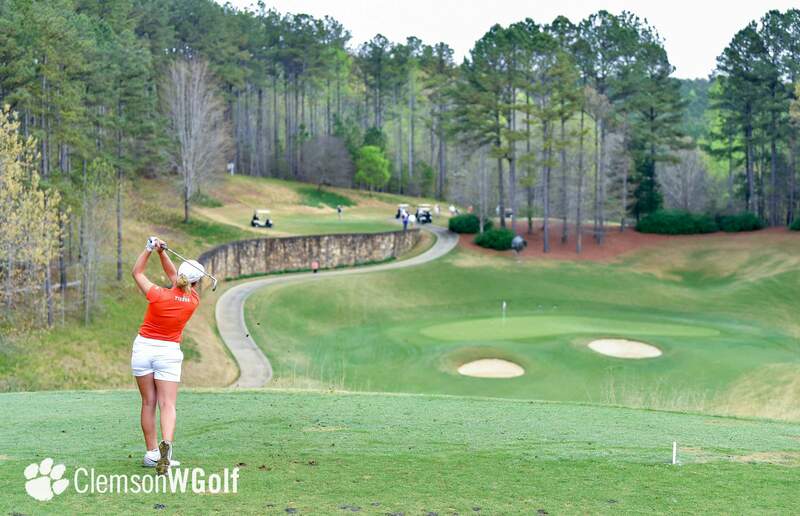 Alice Hewson, who last Saturday finished in 10th place at the Augusta National Women’s Amateur, was Clemson’s second best player for the 36 holes with a one-under-par score of 143. 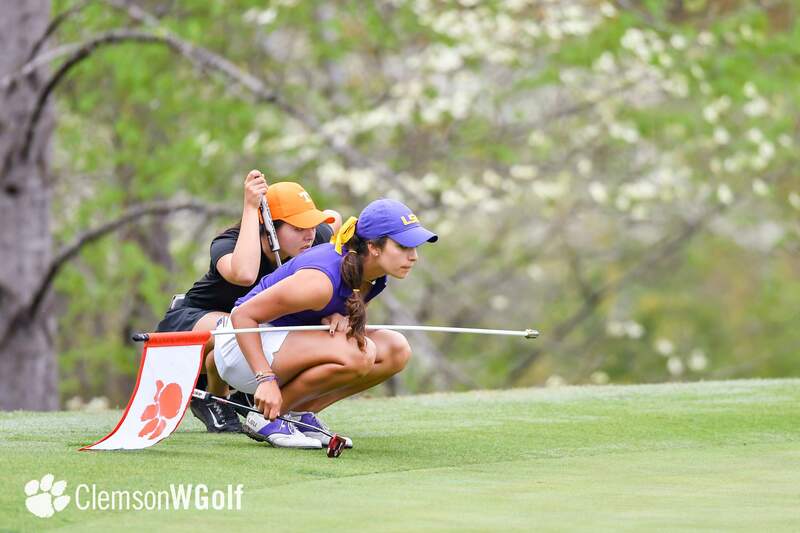 Ana Paula Valdes and Gracyn Burgess finished tied for 26th at even par 144. 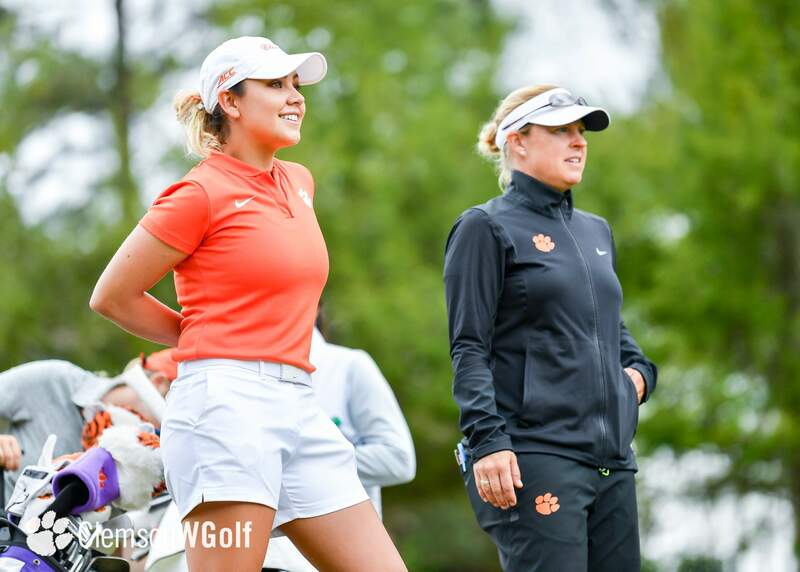 Valdes had scores of 70-74, while Burgess had scores of 72-72. 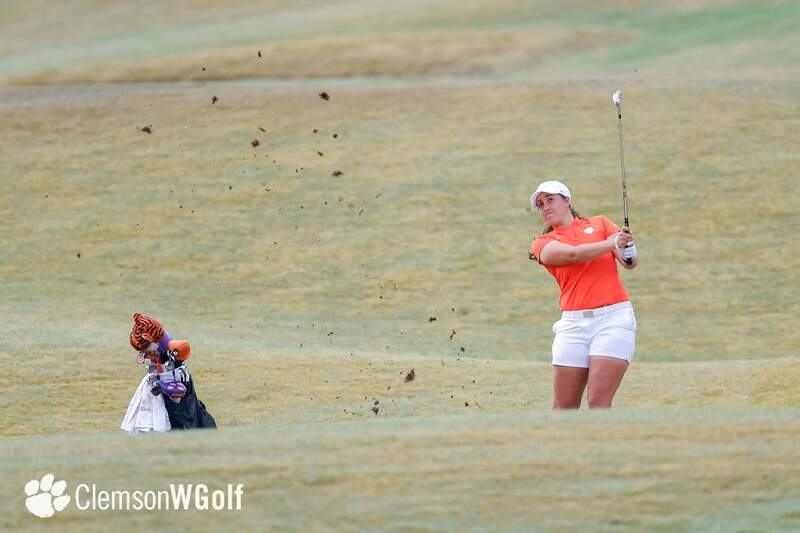 It was the first time this year Burgess scored even par or better in consecutive rounds. 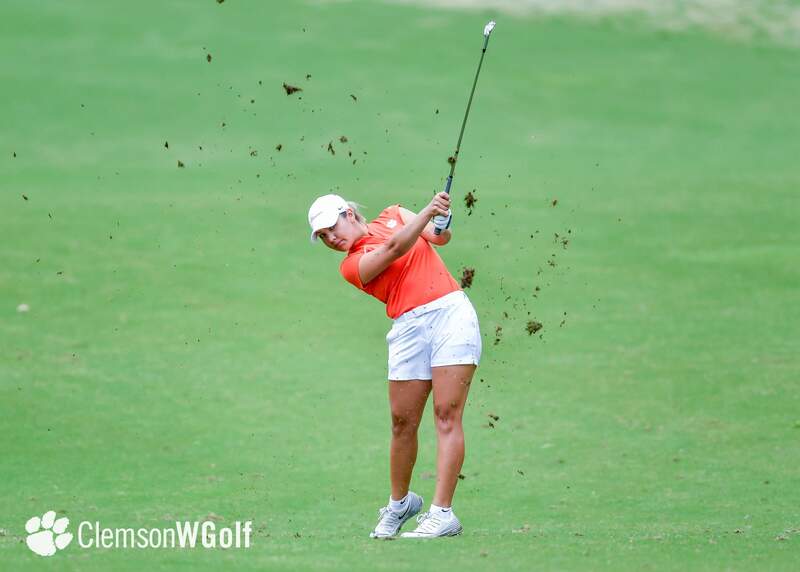 Alexandra Swayne had rounds of 72-78 and finished 69th. 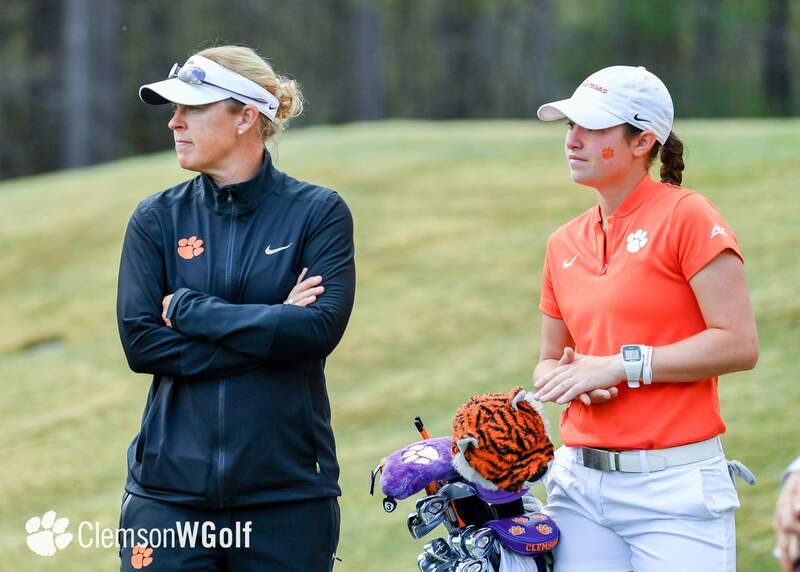 Two Clemson women played the tournament as individuals. 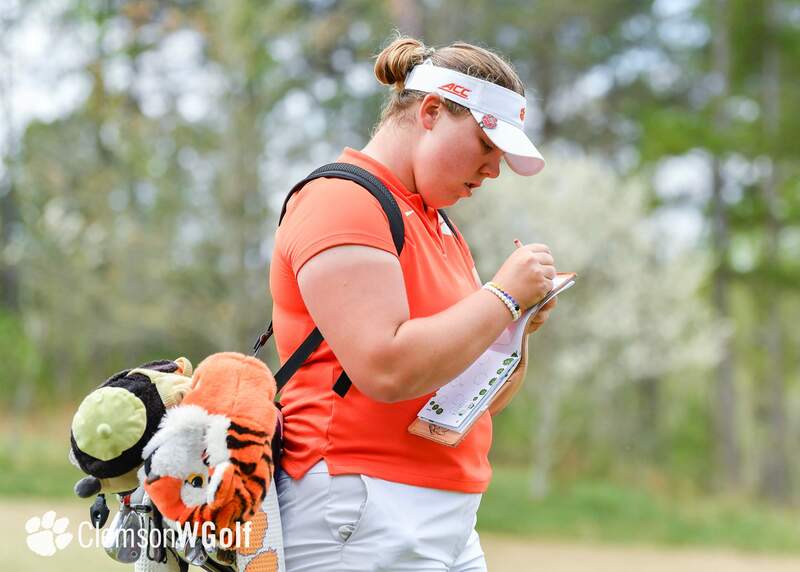 Callista Rice had rounds of 74-72 and her 146 score was good enough for 41st. 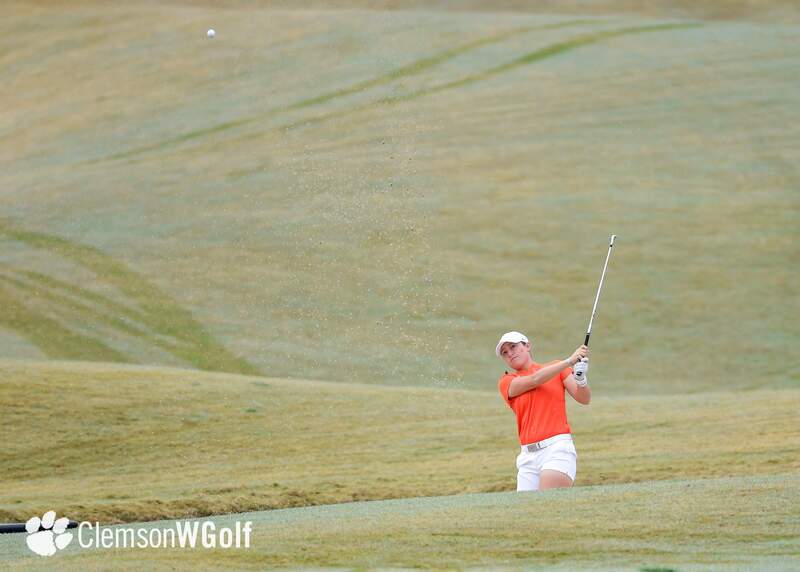 Freshman Lindsay May had rounds of 75-74 to finish 65th at five over par 149. 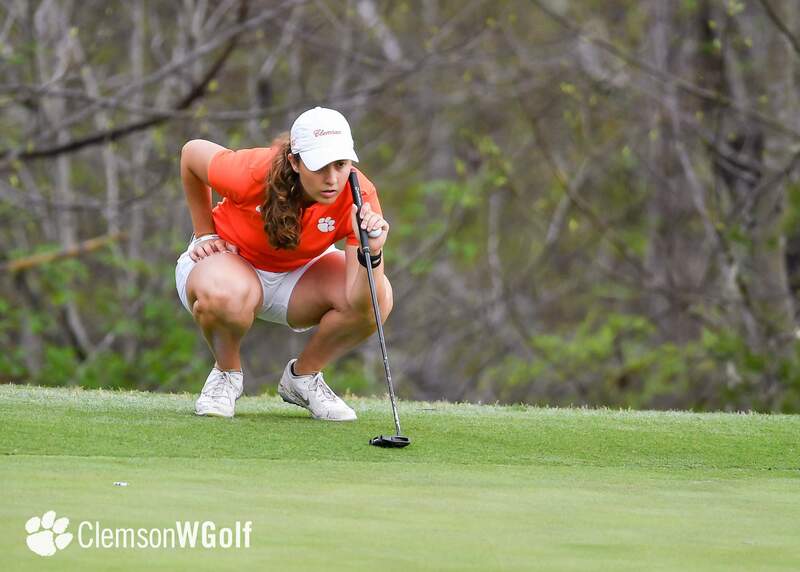 Clemson returns to action April 18th at the ACC Tournament at Sedgefield Country Club in Greensboro, NC. 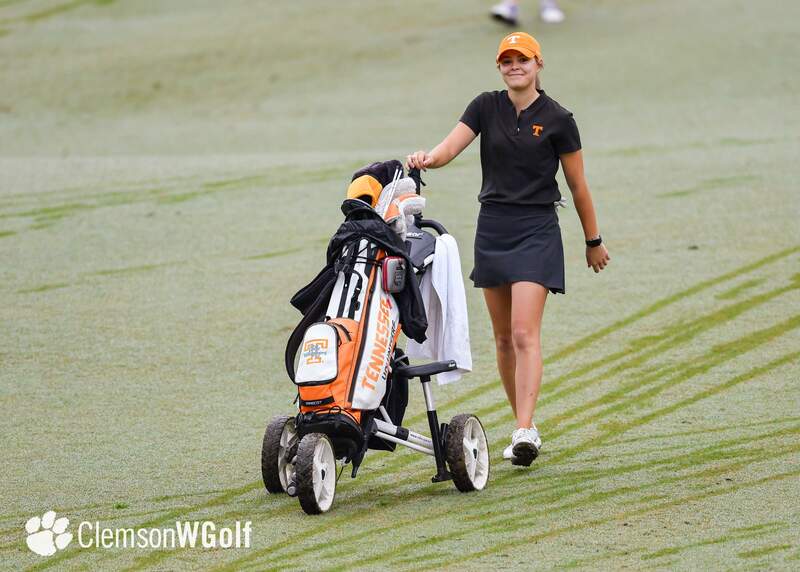 Vanderbilt 555, 2. 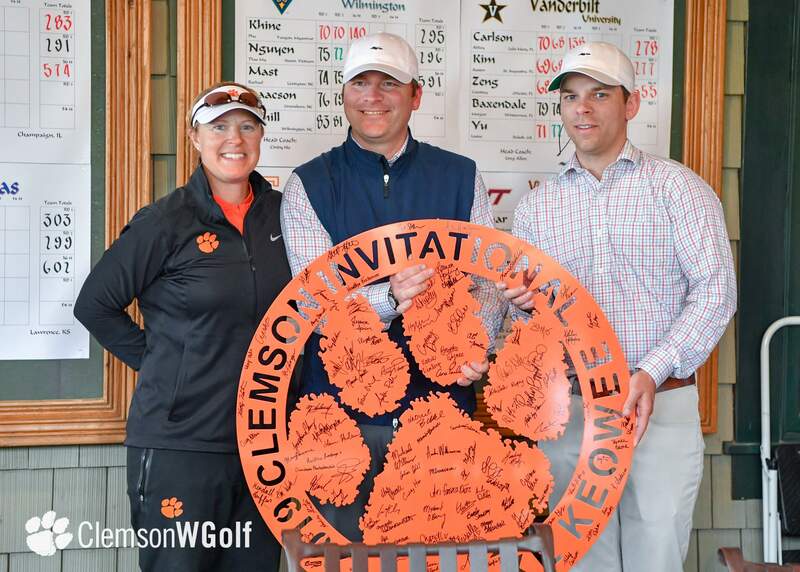 Auburn 563, 3. 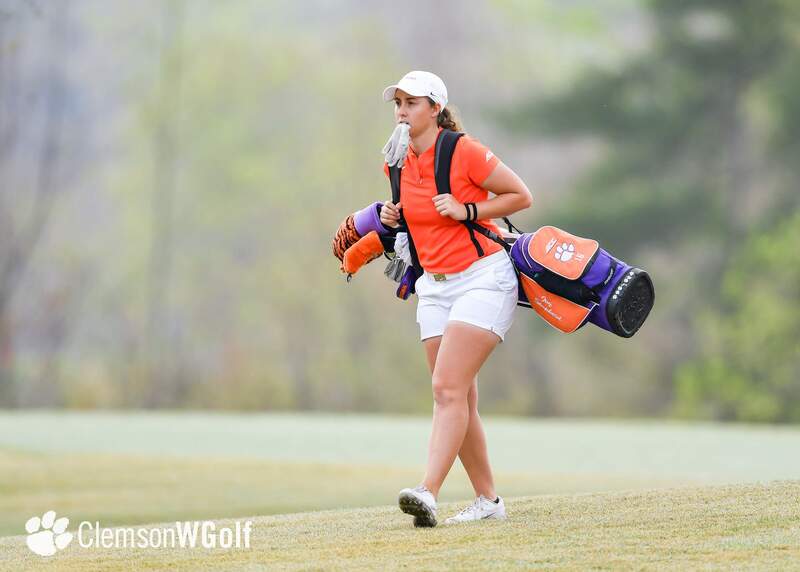 Clemson 568, 4. 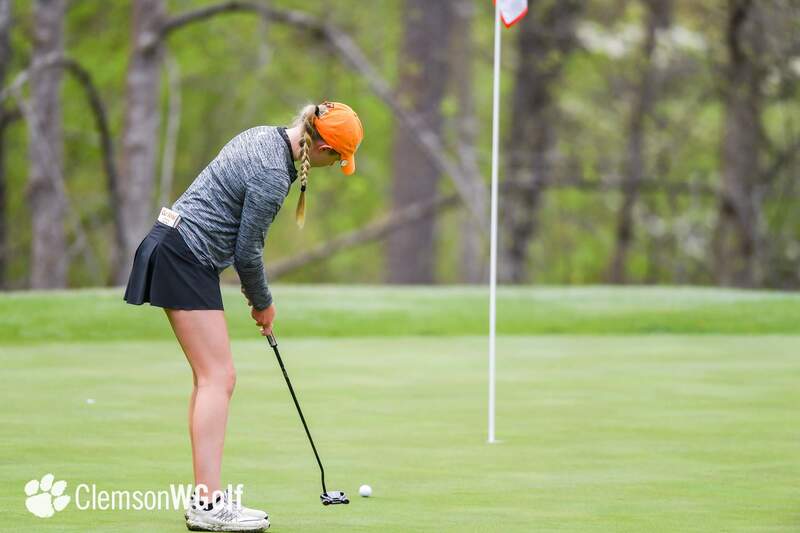 Illinois 574, 5. 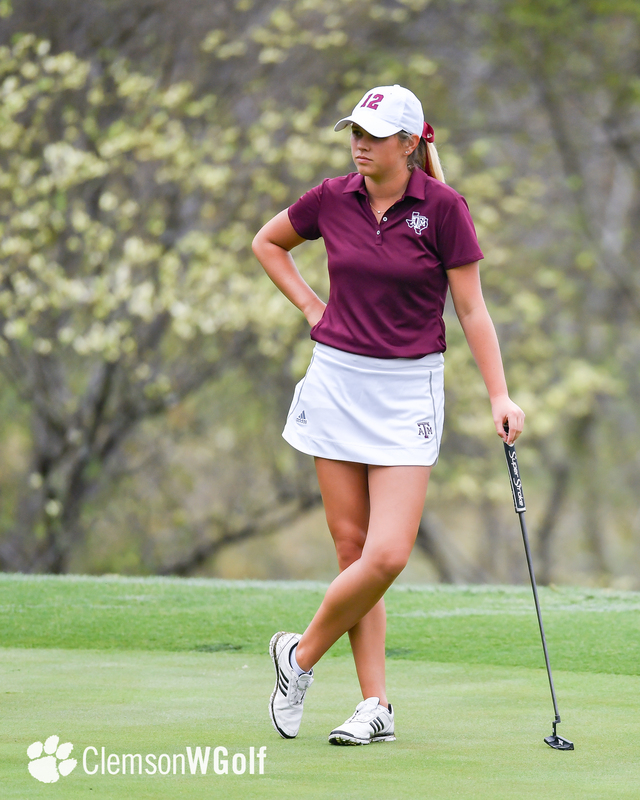 Texas A&M 575, 6. 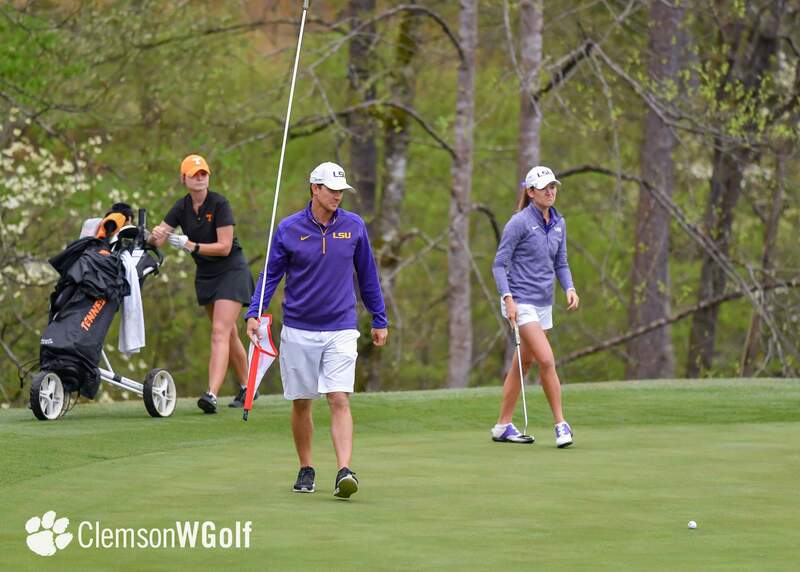 LSU 576, 7. 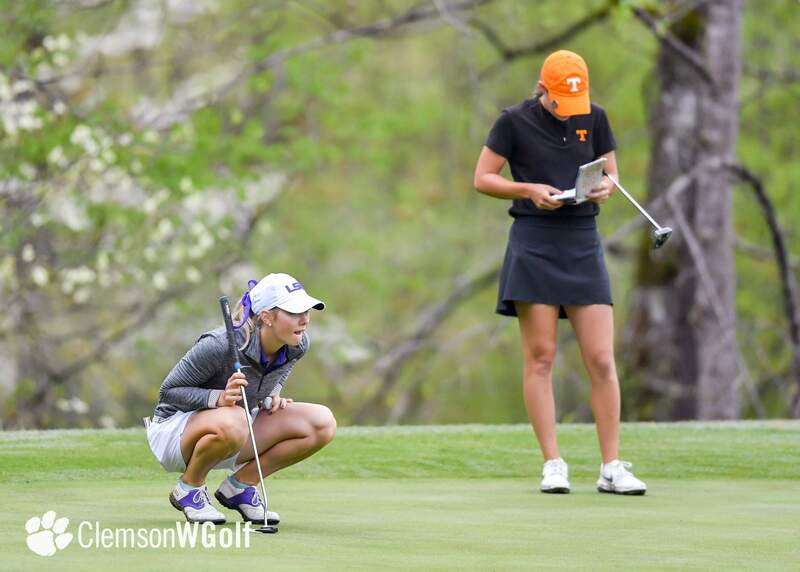 Tennessee 577, 8. 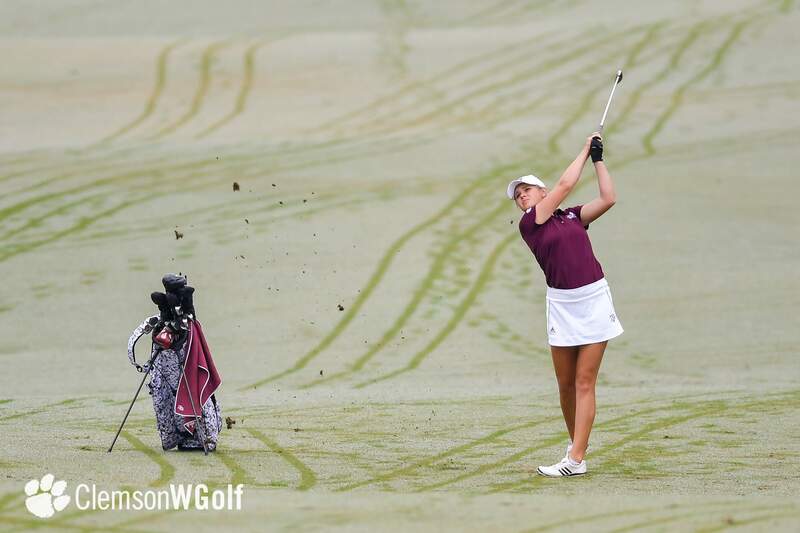 Virginia Tech, Florida State and Augusta 579, 11. 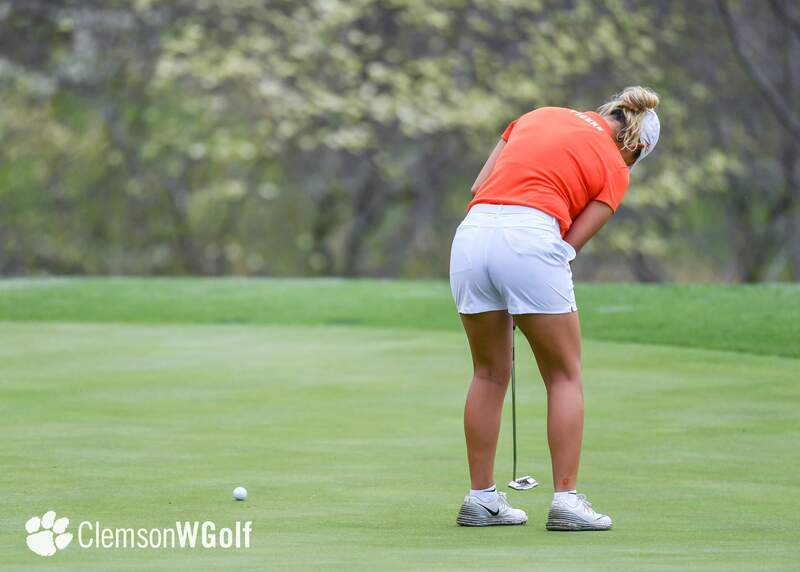 Michigan State 580, 12. 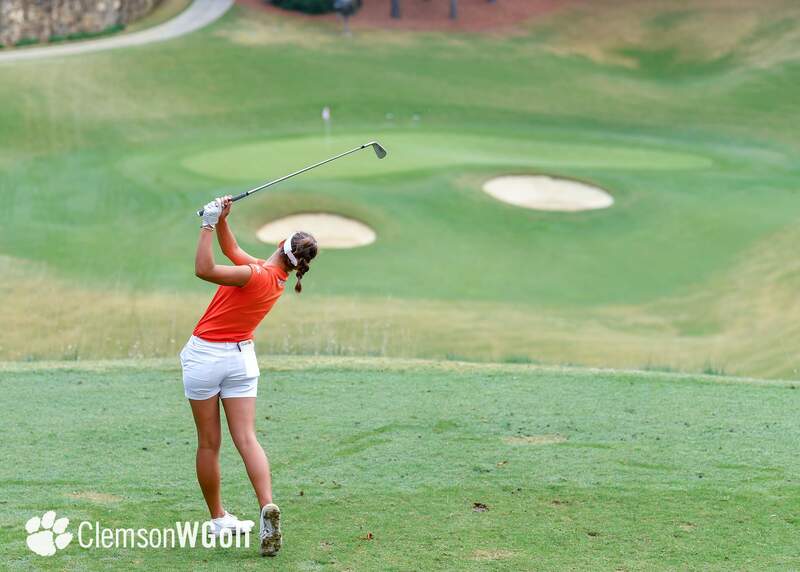 Virginia 581, 13. 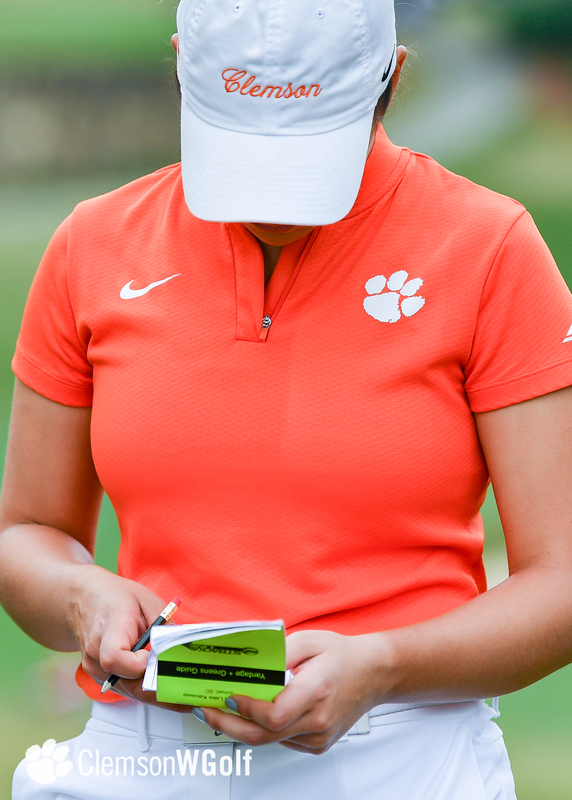 Purdue 582, 14. 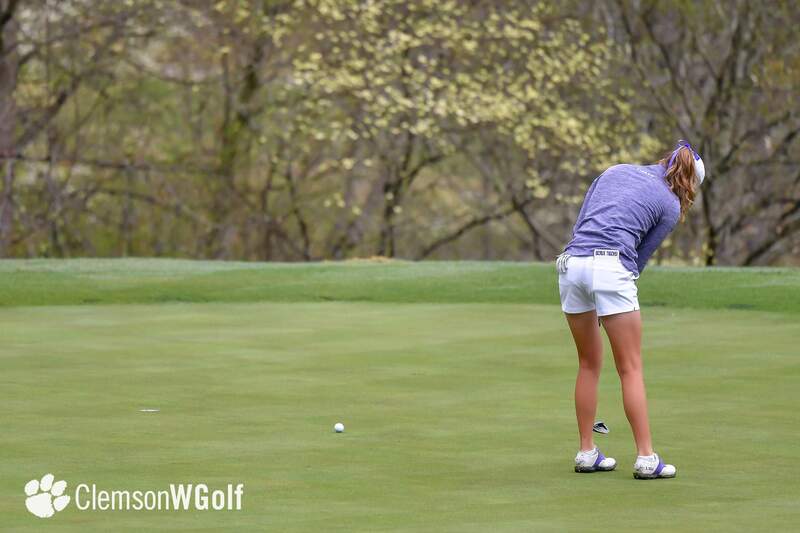 Kentucky 584, 15. 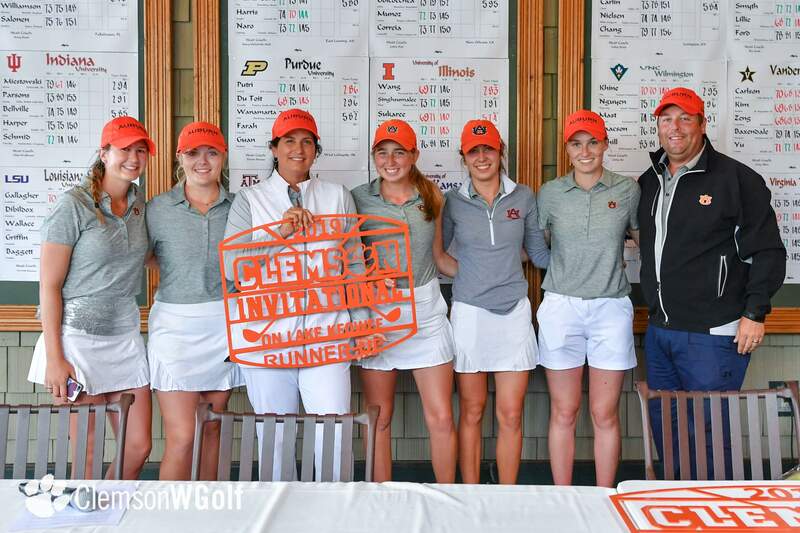 Indiana 585, 16. 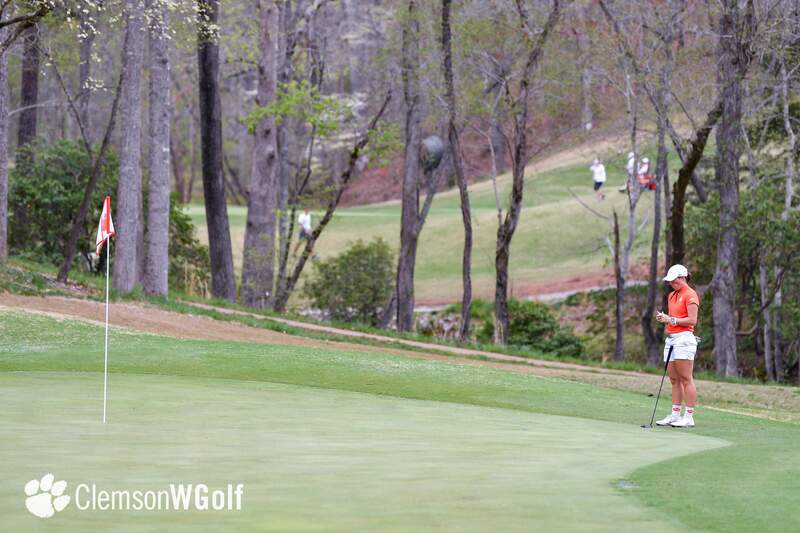 UNC-Wilmington 591, 17. 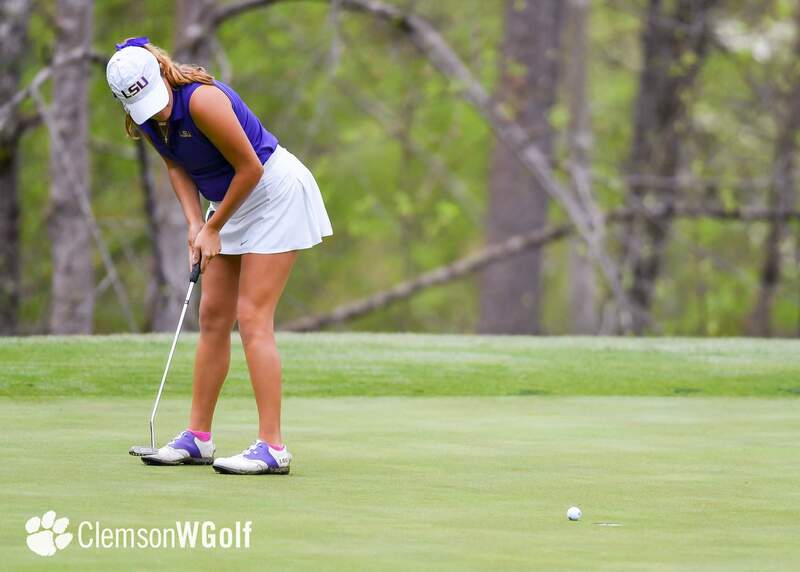 Tulane 595, 18. 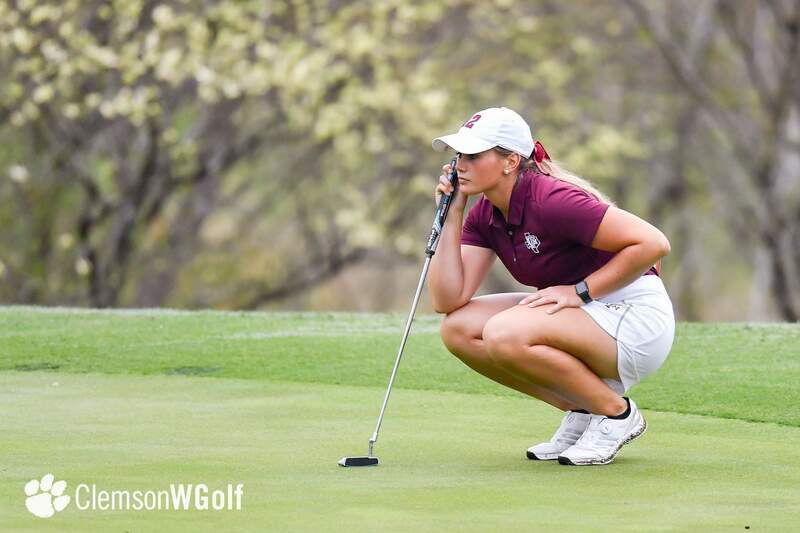 Kansas 602. 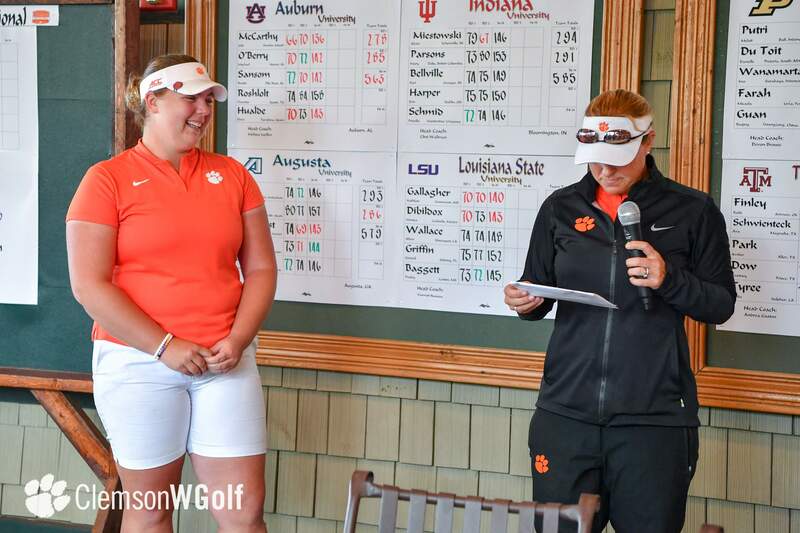 Ivy Shepherd 73-65/138; 18. 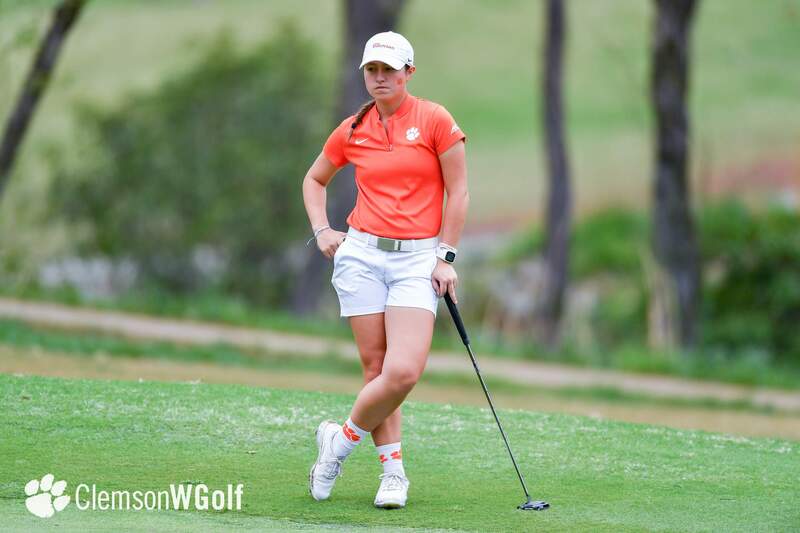 Alice Hewson 72-17/143, 26. 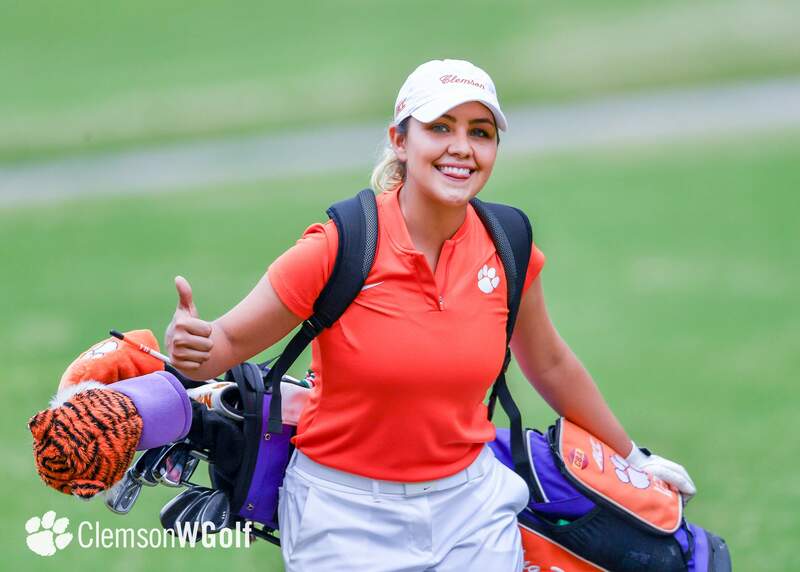 Ana Paula Valdes 70-74/144, 26. 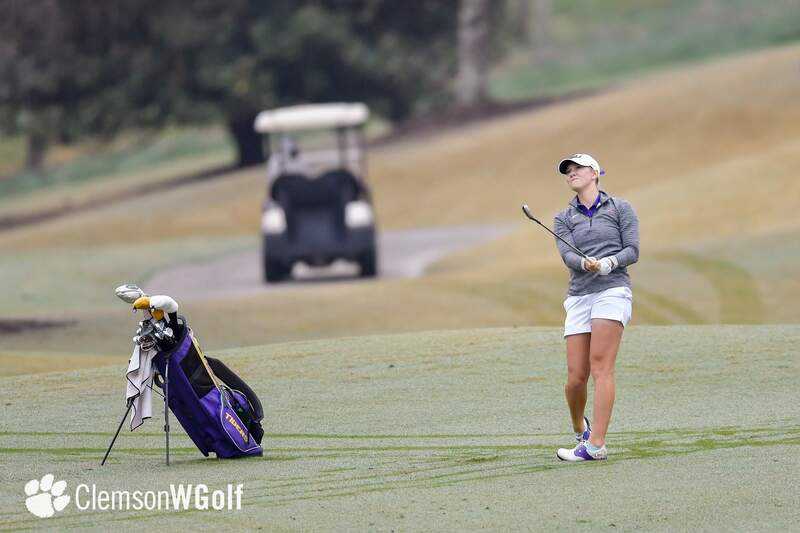 Gracyn Burgess 72-72/144, Alexandra Swayne 72-78/150. 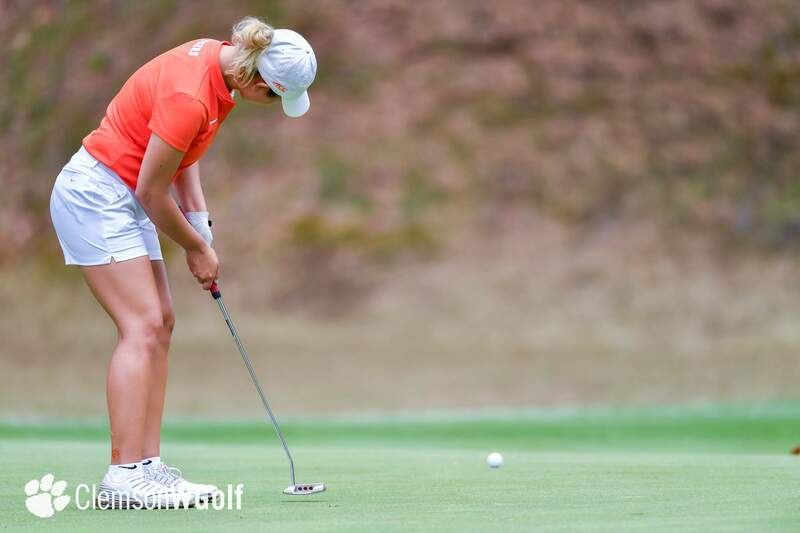 Callista Rice 74-72/146, 65. 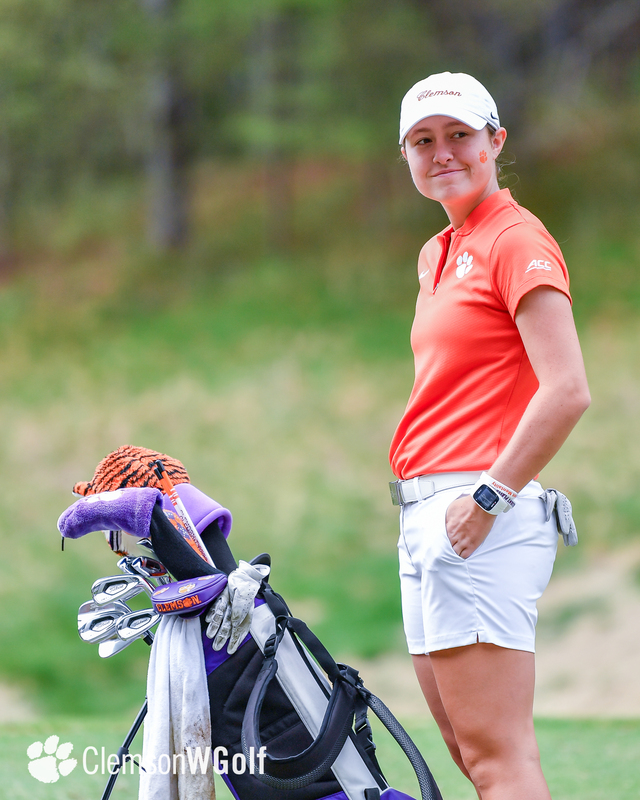 Lindsay May 75-74/149.